The People’s Republic of China Embassy Pool enclosure is situated between two multistorey traditional brick buildings in the Embassy’s Compound in Yarralumla. The Pool enclosure demonstrates a light-handed but rigorously clear and elegant white steel structure. This light-filled box establishes a new and wonderful contemporary presence within the otherwise all brick Embassy complex. The Brief began with the requirement to enclose an underused existing 25 X 10m in-ground external swimming pool, Townsend + Associates Architects have created a holistic environment to support year round swimming and wellbeing through an assembly of minimal and repetitive elements. The conceptual framework existed to provide a contextually sensitive building that respects the architectural setting of the PRC Embassy compound. The architects were required to resolve high level technical issues inherent to pool typology as well as create a new building which successfully responded to the ‘modern traditional’ compound style; while transforming and managing an extremely tight site condition. The building’s apparent simplicity belies its technical complexity. Housed within a tightly constrained site, the new building is unmistakably a modern insertion into the traditionally themed architecture of the site. Yet, through subtle reflection of colour and forms, the building acknowledges the traditional expressions of its neighbours. The PRC Pool Enclosure is a glass pavilion that glows with light throughout all seasons of the year. It is flooded with sun in winter and serenely shaded in summer. Despite its refined appearance the building is highly functional and decorative through its expressed steel structure and simple palette of materials: glass, steel and timber. The entire building envelope is highly insulated, double glazed and fully thermally broken. The double skinned U-form glazing incorporates a LowE coating to further improve thermal performance. A new state-of-the-art ozone water treatment system requires very low chemical input for extremely high water quality and reduces the corrosive chlorine environment normally associated with indoor pools. As well as being used throughout the day without electrical lighting, at night the wall mounted up-lighting illuminates the white ceiling which in turn illuminates the ceiling and the interior with reflected light creating a glowing textured form, suggestive of traditional Chinese lanterns. Key challenges were a fixed budget, a short construction window, constrained construction site access and conditions. Several latent conditions that presented during construction required nimble responses from the consultant and construction teams to deliver results with no change to the budget. A close working relationship between architects / structural engineers / steel shop drafting teams ensured that the steel was 100 per cent accurate and able to erected quickly. Close attention to programming, construction teams and site management by the builder was essential. The pool enclosure walls are constructed mainly of ‘Uform’ glass walling system. 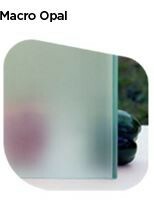 The ‘Uform’ glass is doubled skinned with a Low E treatment applied to the internal panel. The aluminium frames are thermally broken. The glass façade has a lightly opaque appearance to reduce glare within the space. The glass façade is designed to perform well thermally and minimise running costs.